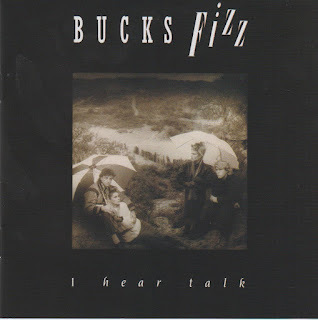 Discussions Magazine Music Blog: BUCKS FIZZ: An EXCLUSIVE interview with Cheryl Baker! BUCKS FIZZ: An EXCLUSIVE interview with Cheryl Baker! Nearly thirty five years ago, British Pop quartet Bucks Fizz wowed Europe with their performance on the 1981 Eurovision Song Contest. The song they performed, “Making Your Mind Up,” was a slice of effervescent Pop with a slight hint of Glam in its percolating beat; however, the song was only half the story. The talented band members – Cheryl Baker, Mike Nolan, Jay Aston and Bobby G – could certainly sing and dance, but when Bobby and Mike pulled off Cheryl and Jay’s skirts during the synchronized dance routine (revealing even shorter skirts underneath), they won the hearts of judges and viewers then and there – and won the Eurovision Song Contest! It didn’t hurt that the quartet were good looking and blonde…much like Swedish Pop hitmakers Abba, who had won Eurovision seven years before. And like Abba, Bucks Fizz didn’t fade into the Eurovision abyss as most contest winners do. With their producer Andy Hill writing (or co-writing) some of the most delectable Pop nuggets of the ‘80s exclusively for them, the quartet released a series of hit singles and albums that cemented their musical legacy. With constant touring and television appearances, the Fizz phenomenon kept moving forward. Then, at the tail end of 1984, tragedy struck when their tour bus crashed. Thankfully, all four survived, but Cheryl broke three vertebrae in her spine. Mike sustained head injuries and was in a coma for three days. Once they were all back on their feet, the commercial momentum had slowed down. After four albums and rising tensions, Jay left the band. They recorded one more album before slowly drifting apart. In recent years, Cheryl, Jay and Mike have been performing together again – with new recruit Bobby McVay - as Formerly Of Bucks Fizz. The members of Bucks Fizz were performers and the quartet became successful because all the right elements had come together: a unique vocal blend, talent, charm, great songs and youthful optimism. They were the perfect mixture of Abba and The Monkees, covered in ‘80s glitter. Though not the first manufactured Pop band, Bucks Fizz really set the precedent for the boyband/girl power explosion that would come a decade later. With Cheryl, Jay and Mike (and Bobby M) in the midst of a busy touring year, Cherry Pop has just issued deluxe two CD editions of the band’s first four original albums – Bucks Fizz, Are You Ready, Hand Cut and I Hear Talk. In 2016, they celebrate their 35th Anniversary with an even busier year that might even include a brand new studio album. STEPHEN SPAZ SCHNEE: Deluxe two CD editions of the first four Bucks Fizz albums have just been released by Cherry Red, your recent Fame & Fortune? Release is getting wide distribution and your recent tour is going down a storm. How are you feeling about all of this? 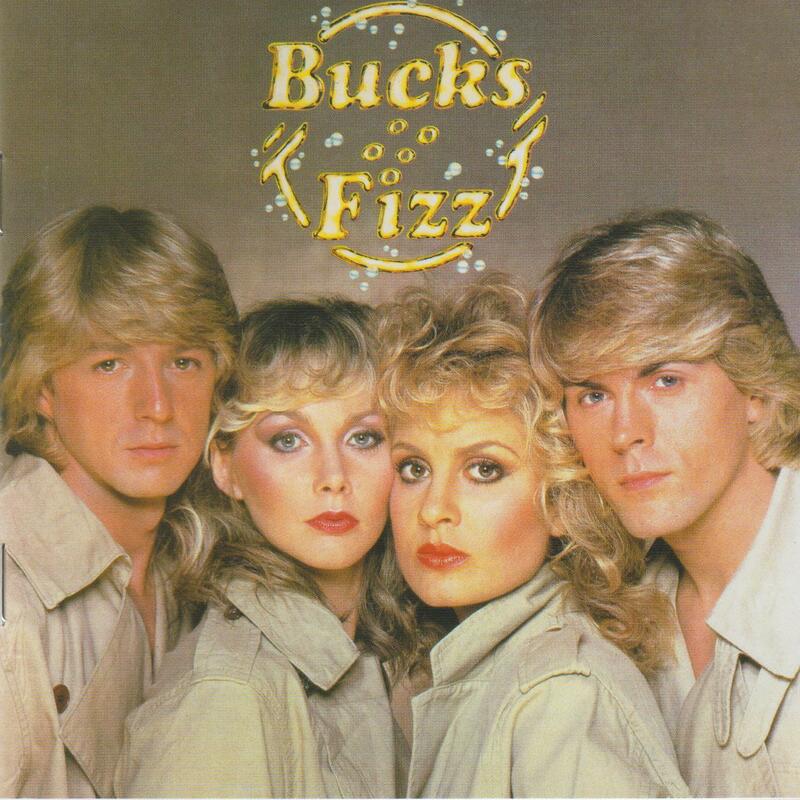 CHERYL BAKER: I just find it astounding that there is still so much interest in Bucks Fizz’ catalog. I’m thrilled with it as well. It’s fantastic. To be perfectly honest, I’ve never been a Bucks Fizz ‘fan’ – I’ve gone into the studio and recorded all our stuff and very rarely do I ever play it again. I’m the same as any artist – it’s very rare that an artist plays their own material…apart from Cliff Richard! (laughs) Most artists release their product and then they listen to other people. To know that there are people out there waiting for these releases is unbelievable! SPAZ: The Eurovision Song Contest is virtually unknown to most Americans. However, it is enormously popular almost everywhere else in the world. Is there something like it in America that you can compare it to that would bring it into perspective for us? CHERYL: I don’t know what they can compare it to. The United Kingdom is so tiny and the world is so big. So for us, to win a competition where so many countries are involved is a great achievement – only five artists in history have done that for the UK. I see it as a huge competition. Every year, the Eurovision is growing – this year we had Australia – and we certainly have other countries that have been there for many years that people would not regard as Europe, i.e. Israel. I’d like to think that now Australia is in, we can take away the title Eurovision and call it Worldvision or something, so that everyone is involved. That would be great. I do think it’s a shame that America has no idea about the competition. The beauty of Eurovision is not that it is a competition – the beauty is that so many countries come together for that one night for the love of music. There’s no politics, there’s no animosity, there’s no violence. I think it would be a wonderful thing if the States were involved as well. 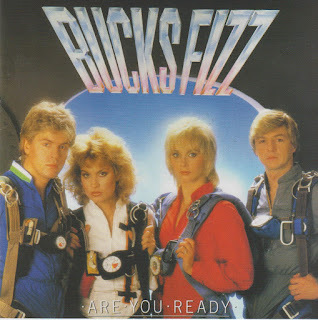 SPAZ: Thankfully, Bucks Fizz didn’t go the route of other contest winners and promptly fall off the map, so to speak. Were you surprised by the band’s continued success after the Eurovision win? CHERYL: I would love to take the credit for that, but all credit has to go to the production team and the writers. Just to make sure that we didn’t fail, we discovered that ripping off the skirt was just shocking enough – I’m pretty sure without the skirt coming off, we may not have won! They wrote a song they thought would appeal to the European market; they were absolutely right. They wrote “Making Your Mind Up” to win the Eurovision contest and it worked. Then, we had to appeal to a wider audience and rest of the world. They wanted to prove that we were more than just a Eurovision four piece harmony band that could get their clothes off. Immediately, the next single, “Piece Of The Action,” was a really incredible pop song. Then “One Of Those Nights,” which was a really nice ballad. Then we went onto “Land Of Make Believe,” which was the biggest hit for us in the UK. Across the world, it was a huge hit. Our catalog of songs – “Now Those Days Are Gone,” being the fabulous a cappella ballad that it was, and “If You Can’t Stand The Heat,” a great Reggae Pop song – show our style changed so much. “When We Were Young,” that Jay sang, was quite a dark and deep Pop song that was quite punky in some ways. It was purely because of the writers – we had no say in it. We were puppets of the production team and the record company. We didn’t have time to think or put our input into our career – we had to rely on everyone else and they came up trumps. And we enjoyed the fruits of it. SPAZ: Were you surprised that you never cracked America? CHERYL: I was disappointed. The one song that we thought was going to was “I Hear Talk,” because we had a degree of success in New York, apparently. In those instances, I think it’s just the record company getting you out there and promoting you. We were very appealing at the time – four pretty faces, all of us could sing, we all danced. I think we could have been marketed anywhere. We had a degree of success in South America. It could have happened in America, we just weren’t marketed at all – we never set foot in the States to work at all. SPAZ: There wasn’t a lot of love in the U.S. for bands they considered ‘manufactured’ at the time, but now our charts are filled with them. Do you think that Bucks Fizz would have had a chance today since there is no longer a ‘stigma’ attached to ‘manufactured’ artists? CHERYL: There was a stigma and it wasn’t just in the States – it was here as well. We were always called ‘manufactured.’ And we were, but what’s wrong with that? If you’ve got the right recipe to make a really good cake, why not use it? Why just use what you’ve got in the cupboard? We were one of the first bands – The Monkees were before us – but it is a format that works. You get the right people that look right together and sing right together…you don’t necessarily have to get on, you just need to work together. It’s happened with One Direction, it’s happened with so many bands. Maybe, if there hadn’t been that stigma of being ‘manufactured,’ maybe we would have had a degree of success. Perhaps it was the record label in America that thought, “Nah, not interested. They’re ‘manufactured.’” Maybe they sealed our fate. 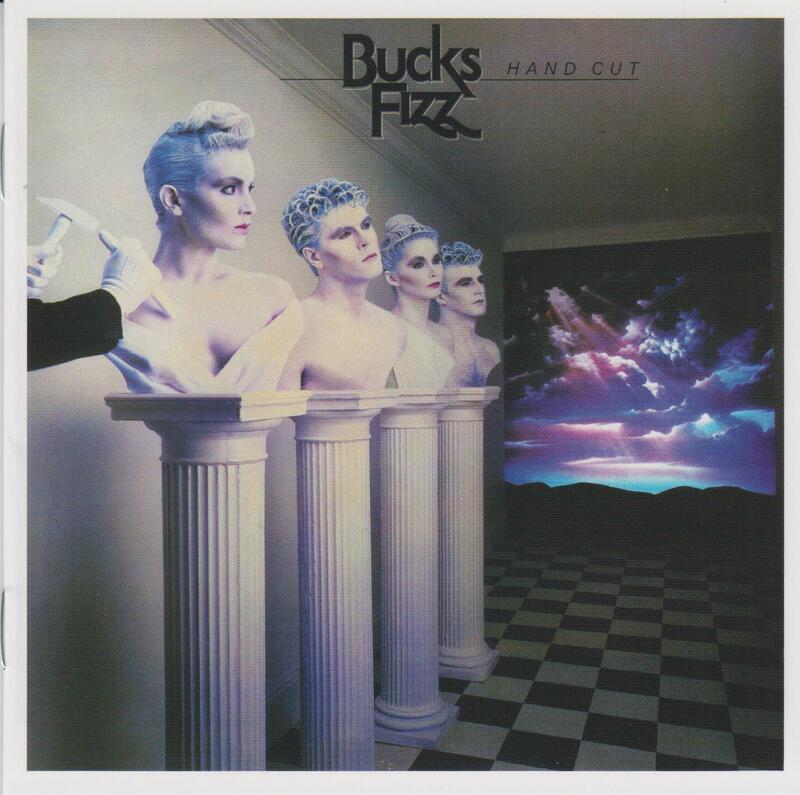 SPAZ: You give credit to the production team, but the band’s vocal blend was so distinct that when you heard a Bucks Fizz track, you knew immediately who it was. Do you remember at which point you realized that it had all come together and was working? CHERYL: I suppose when “My Camera Never Lies” was number one, I thought, “Wow, we’ve had three number one hits.” And the amount of times we were on Top Of The Pops…The reality is that it never really sinks in. We did lots of tours and in those days, they weren’t arena tours, they were theater tours. We would do a thirty date tour instead of a five date tour. And when you open your dressing room window and outside there are throngs of screaming kids, that’s one of the times when you think, ‘We’ve done it. We’ve made it!” And then when you fly to Australia and they’ve painted ‘Bucks Fizz’ on all the buses we traveled around in, it does kind of make you think that this is bigger than you’d ever dreamt it would be! SPAZ: Was there ever a time that you fully accepted the fame, or did you look at it like an outsider…like it wasn’t happening to you? CHERYL: There are two me’s. I’ve never let go of my real name - Rita Crudginton as she was and then Rita Stroud now. There’s the Cheryl Baker of me that will go on stage and love performing, signing autographs and doing interviews. And then there’s the Rita Stroud of me that almost looks at Cheryl Baker thinking, “Oh, what a fantastic career she’s got. I wish I was her!” There are two me’s – it’s absolutely true and I love it. SPAZ: Did you ever have a say so in what songs you wanted to sing? SPAZ: Was there ever a time when you wanted to stage a coup and take control of your recorded output and write your own material? Or were you comfortable with the position you were in? SPAZ: Are you hoping the new deluxe editions of your first four albums will encourage people to dig deeper into your catalog, to go beyond the hits and listen to choice album cuts? CHERYL: Yeah, I think I am. That’s the nice thing about having them re-released. The fact that they’ve been released with extra stuff, I’d like to think the old Fizz fans are reliving those original emotions they had when they first heard them. It gives me such a thrill to think that our old fans come to see us after all these decades and they bring their own children to come and see us. Hopefully, they buy those records to relive the time they first had them in the ‘80s. I’m not silly and I know we’re not going to be top of the charts, but I do like to think that our audience is enjoying this rebirth of Bucks Fizz and all the original material. My favorite Fizz album is Are You Ready? SPAZ: Compared to the music scene today, were the ‘80s really as magnificent and innocent as our memories would lead us to believe? CHERYL: Oh, no. They weren’t innocent – far from it! But they were magnificent! It was a joyous time and everything seemed to be good and happy. Bucks Fizz winning Eurovision, Charles and Di getting married… everything was positive and I really enjoyed it. For those first three or four years, with all the success we had, flying everywhere first class, staying at the best hotels, seeing parts of the world I never even read about…it was just absolutely wonderful! None of us were aware that all of that cost was recouped from record royalties. But I don’t care. I’m really glad I did what I did. I was there, I did it. I’m here now doing what I do now. I don’t regret a single day.